Enjoy Discovering the Unique Connections that You Feel and Share with the Natural World around You. The Nature's Connections™ program contains one hundred photographs of natural images that, together with the interactive activities, are designed to assist in strengthening the inner self by reflecting on the emotions and experiences of life's journey. This program develops an understanding of how our feelings and interpretations, our pathways and our stories are reflected in nature. By exploring nature we: see, hear, and touch the real world; we discover ourselves in the natural world that we all belong to. Our understanding grows as we develop a concept of self, emotional development and healing; we build stronger interpersonal skills, greater creativity and higher values that help us on our own inspiring journey. We are all caretakers of this wonderful land and building our connections to the wonders of nature serves to protect, embrace and appreciate the beauty surrounding us and within ourselves. Who is Nature's Connections™ for? Nature's Connections™ can be utilised as a stand alone program or as an After Yarn Activity within the Let's Have A Yarn With Yarn® program. 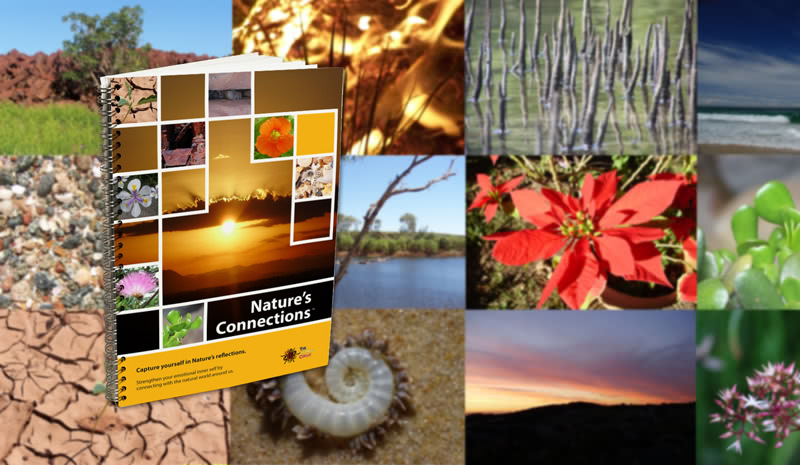 Purchase online or contact Lee at the Yarning Circle by email or phone if you require more information regarding Nature's Connections™. Nature's Connections™ is a trademark of The Yarning Circle®.